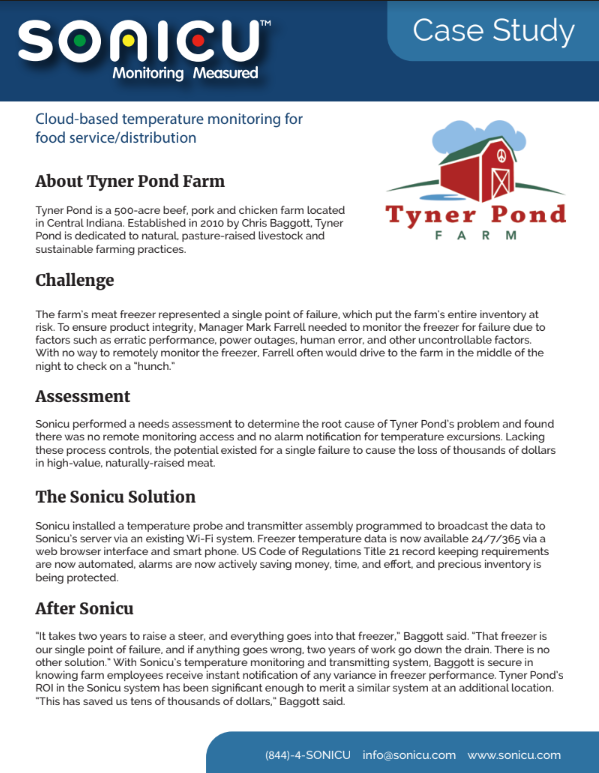 Find out how Sonicu wireless temperature monitoring protects farm products and inventory representing years of work and dedication. With all the effort involved, Tyner Pond could not afford to discover a freezer failure Monday that occurred on Friday. From agriculture to healthcare, learn how to protect your operation now by filling out the form below.